I’ve been filming some items for Channel 4 prime-time consumer programme, Supershoppers. In tonight’s show, I’m investigating broadband and Wi-Fi speeds. Is the internet speed you pay for the speed you actually get throughout your home? There are lots of reasons why that may not be the case, one of which is how well your broadband router performs. The majority of us make do with the router provided by our internet service provider when we sign up. While that’s often the easiest way to get up and running, that bundled hardware may not always provide the best internet experience around the house. So, we’re testing the kit shipped by the some of UK’s top internet service providers – as well as some after-market options – to see which router works the hardest to send Wi-Fi around your home. Watch Supershoppers on Thursday 14 June 2018 at 8pm or catch up on All 4. Rip Off Britain is back with a new series on BBC1 this week. In one of this season’s films, I talk about how internet-connected doorbells are now being used help to catch crooks. Think of a connected doorbell as a video intercom – similar to those already popular in flats and offices – that connects your front door to your phone. Not only do they provide peace of mind when your doorbell – or perhaps that of an elderly relative – rings, these smart devices can also record video of who is at the door. Needless to say, they have already been used to help identify criminals. In another item for the show this series, I take Julia Somerville to a Bitcoin cashpoint to explain what cryptocurrency is and how it works – and how some viewers may have lost substantial sums of more traditional cash to so-called Bitcoin scammers. Rip Off Britain airs on BBC1 at 9.15am from Monday 13th June 2018, available on catch-up on BBC iPlayer. London Tech Week is the UK capital’s annual celebration of technology and innovation. Once again, I’m hosting the online broadcasts for LTW’s flagship event, TechXLR8, live every day from 9am until 6pm. We’ll be interviewing tech industry movers and shakers from around the world to learn how 5G, AI, blockchain – even space tech – will converge to have a profound impact on business and society in the next two to three years. 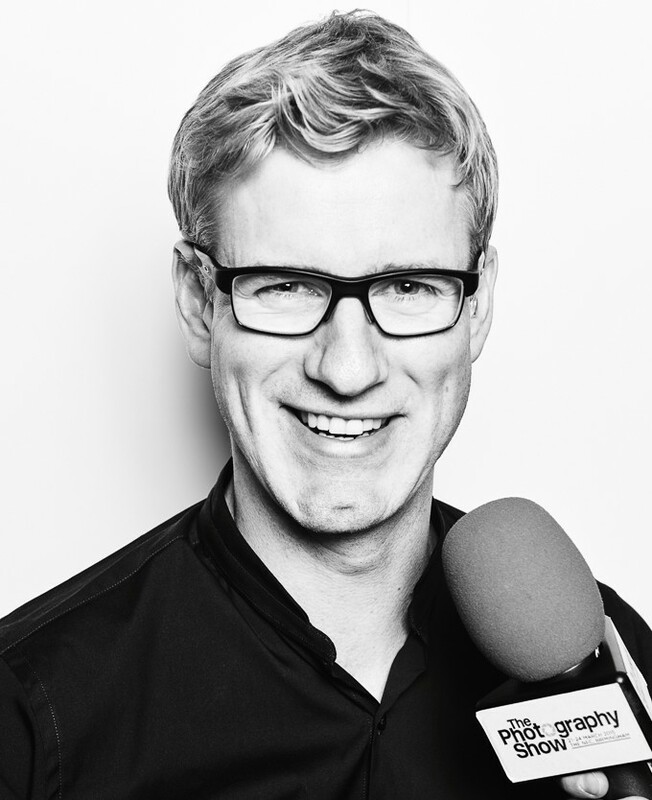 I’ll be speaking with Secretary of State for Digital, Culture, Media and Sport, Matt Hancock; with leaders from Oracle, Microsoft and Nokia, also with the only VC investing solely in space tech, Seraphim Capital. London Tech Week is also a great platform for start-ups, and we’ll be covering as many as we can, including the Project Kairos start-up pitch-off competition at TechXLR8 on Thursday. Here’s one of my favourite reports from last year’s London Tech Week, but do look out for this year’s #LTW coverage at TechXLR8 and London Tech Week. 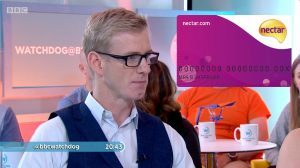 I was back in the BBC Watchdog studio last night for an item on how Nectar card fraud has been leaving some viewers with a decidedly sour taste in their mouths. Reports of fraudsters targeting the Nectar loyalty scheme aren’t new, but a recent spate of activity has brought it back to the top of the Watchdog mailbag. Nectar began rewarding shoppers in 2002, and now around 20 million members collect and spend points at a variety of high-street and online retailers. In February this year, Nectar was bought by supermarket chain Sainsbury’s, which now also owns catalogue chain Argos. In the fraud, Nectar points are redeemed – often in high street stores – to buy goods. The first victims know is when they try to spend their Nectar balance and find instead that their account is empty. So prolific are the fraudsters that, in some cases, victims have even found they‘be been left with a negative balance. How does Nectar card fraud work? 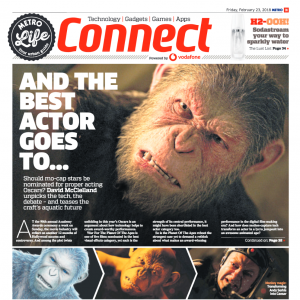 In this week’s Metro, I explore feature film motion capture technology and hear how performance capture artistes are being short-changed on acting accolades. New Zealand-based Weta Digital is one of the world’s leading VFX and performance capture studios. I interviewed Dan Lemmon, visual effects supervisor on Oscar-nominated War for the Planet of the Apes. I also spoke with Johl Garling, head of studio at Imaginarium Studios, a dedicated motion and performance capture studio co-founded by Andy Serkis in 2011. 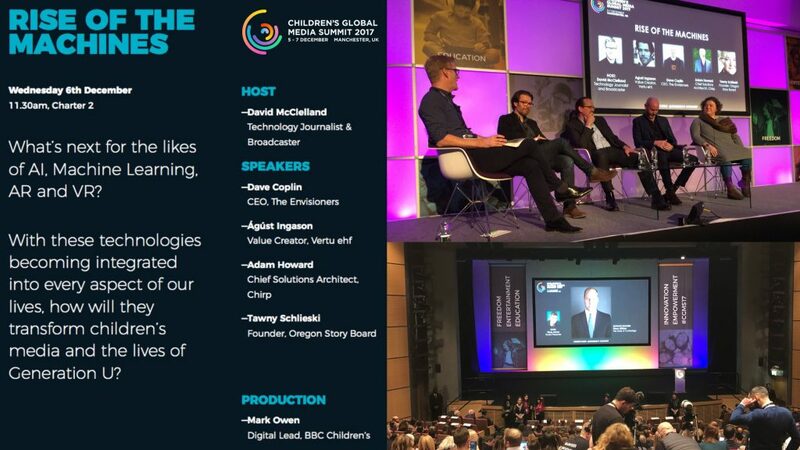 Earlier this month I chaired a panel for the BBC-hosted Children’s Global Media Summit in Manchester. The summit takes place every 3 years, and I was thrilled to be invited to host the dauntingly titled The Rise of the Machines panel. We asked: What do artificial intelligence, machine learning, augmented and virtual reality mean for the future of content consumption and creation? Not for our generation, but for our children’s. Needless to say, it was a fascinating session. I’m immensely grateful to panellists Dave Coplin, Agust Ingason, Tawny Schlieski and Adam Howard for bringing it to life for our standing-room-only audience, as well as to producer Mark Owen. The headline speaker at the event, however, was HRH Prince William, The Duke of Cambridge. Visiting Manchester with soon-to-be mum-of-three Catherine, The Duchess of Cambridge, he shared both his optimism and concerns about the impact of digital technology on children, expressing how little we still understand about the effect that always-on connectivity has on young people’s development. There were many more important announcements at CGMS, including a great new BBC initiative – Own It – to support and empower young people online. Visit the CGMS website for more highlights. 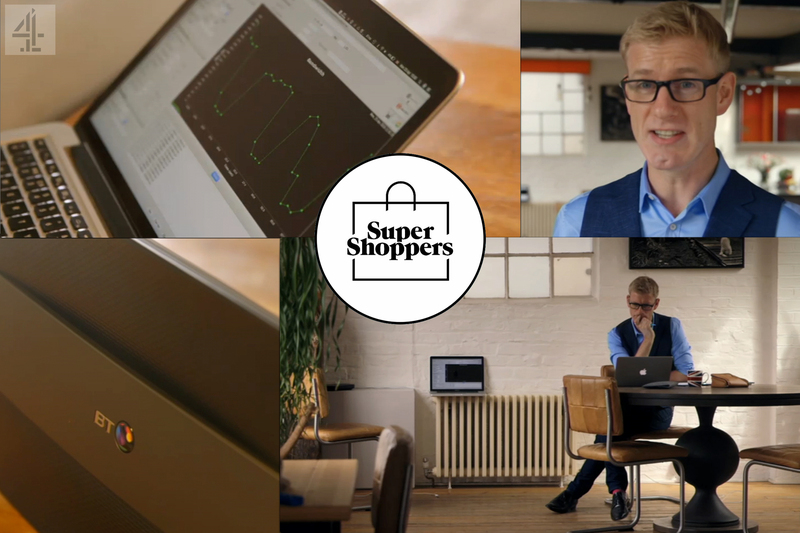 My ‘super cuts’ highlights packages for major tech product launches have become increasingly popular. 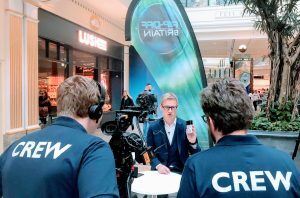 In summer 2017, Mobile World Live commissioned me to produce video packages for the much-anticipated Samsung Galaxy Note 8 and the Apple iPhone X smartphone launches. Standing now on another packed commuter train, I glance up to see a carriage full of people staring down at their smartphones. In fewer places is it more evident how mobile technology has become central to our lives. It’s no wonder then that smartphone launches from the likes of Apple or Samsung attract significant attention from the media as well as the public, all eager to learn about the newest devices and their features. That why quick-turnaround highlights packages – like those I’ve been producing over the last couple of years – have become very popular online and shareable on social media. The full Apple press conference clocked-in at just under two hours, the Samsung Unpacked event at just under sixty minutes. Yet, shortly after each event, I’d edited and voiced crisp broadcast-spec packages capturing the most important moments and the energy from the entire event. 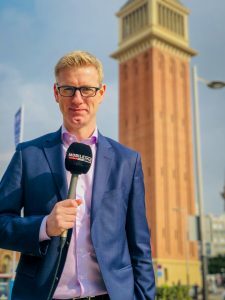 Similar items I’ve produced for media outlets have performed very well, capitalising on speed of production and the thirst for information on the latest mobile hardware. Head over to Mobile World Live TV to see the full Apple iPhone X or Galaxy Note 8 stories, or take a look at some of my previous packages for MWL TV and International Business Times. And do drop me a line if you think a quick-turnaround package might work for your outlet or brand.